Tomek (Poznań, Poland) on 7 April 2019 in Sport & Recreation and Portfolio. Beautiful silhouette in backlight ! Fantastic, fine compo and exposure, b/w is a good choice here. 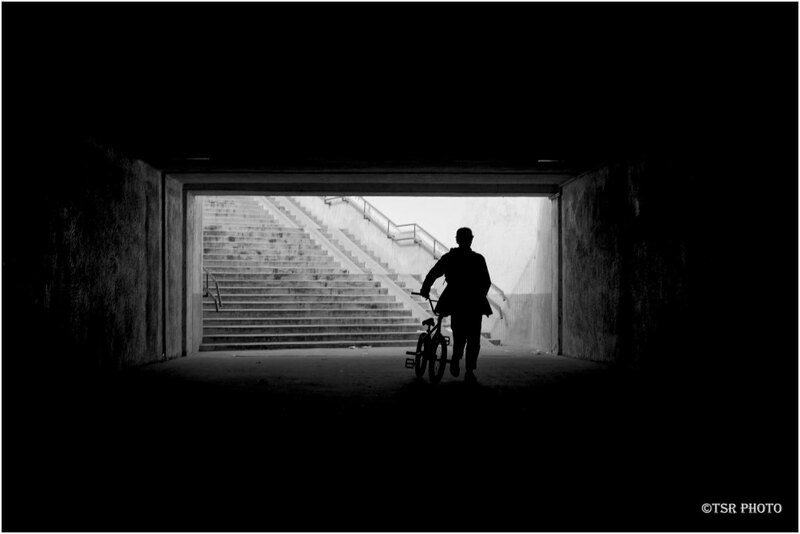 Great silhouette of this person and his BMX!! Great concept for this photo. I like the framing, the light from behind and the silhouette. @Mireille T.: Thank You ! Congratulations on the spotlight! Excellent image. Superb composition in backlight! Congratulations! A well-deserved Spotlight here . .
@Steve Rice: Thank You ! Congrats for this shot and Spotlight !